The building within the enclosure adjacent to its NW side, with Mr John Sherriff to left. 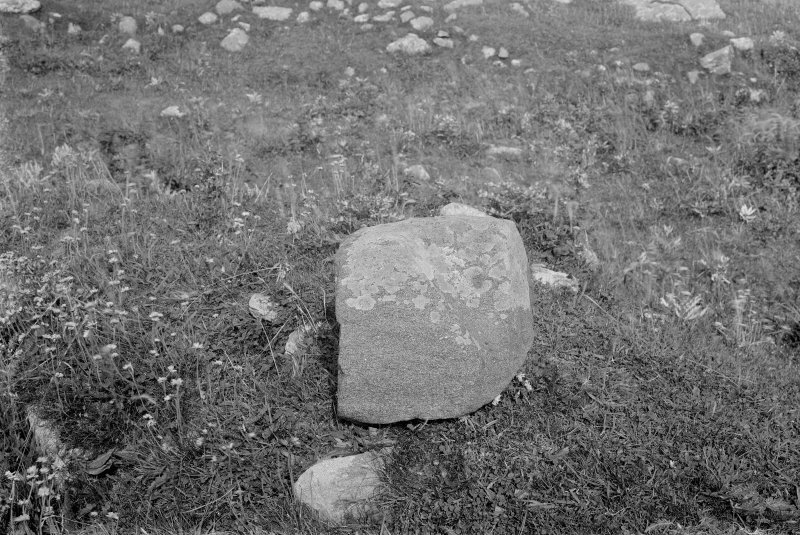 North Uist, St Clement's Burial Ground Photograph of stone. The building within the enclosure adjacent to its NW side. Mr John Sherriff to left. St Clement's Chapel is shown on Blaeu's map in 1654 as Kilchalma, and referred to in Origines as Kilchalman, names which would suggest a commemoration of St Colman. In the centre of the graveyard are fragmentary remains of the chapel, a building c. 26ft by 18ft with walls c. 2ft high. Orig Paroch Scot 1854; E Beveridge 1911. 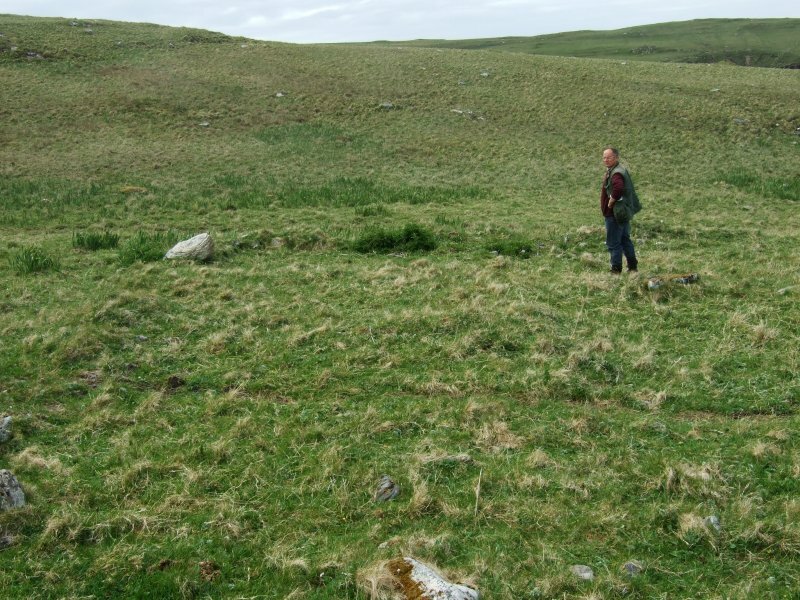 The remains of St Clement's Chapel, a rectangular building 3.8m by 2.6m within walls 1.3m thick, are reduced to rubble banks 0.3m high. 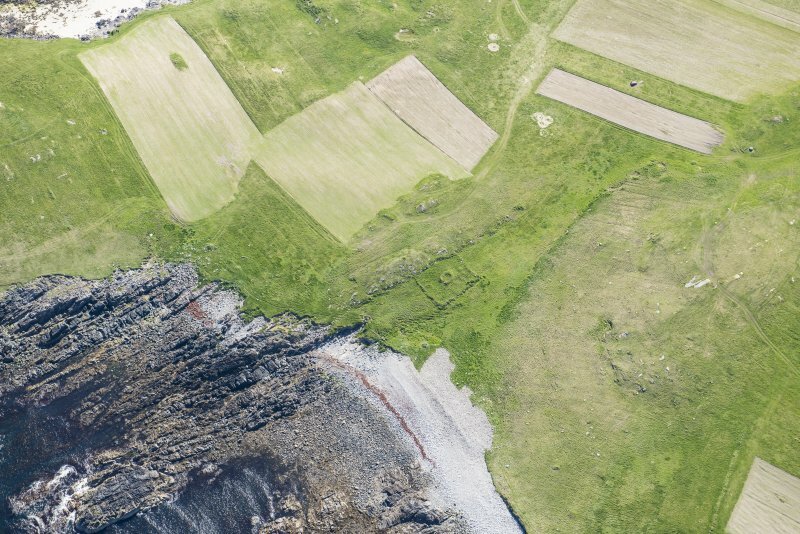 The burial ground, devoid of gravestones or mounds, is sub-rectangular, c. 26.0m by 21.0m, bounded by a turf-covered wall, 0.5m high and 1.7m thick, incorporating natural outcrop along its NE side. 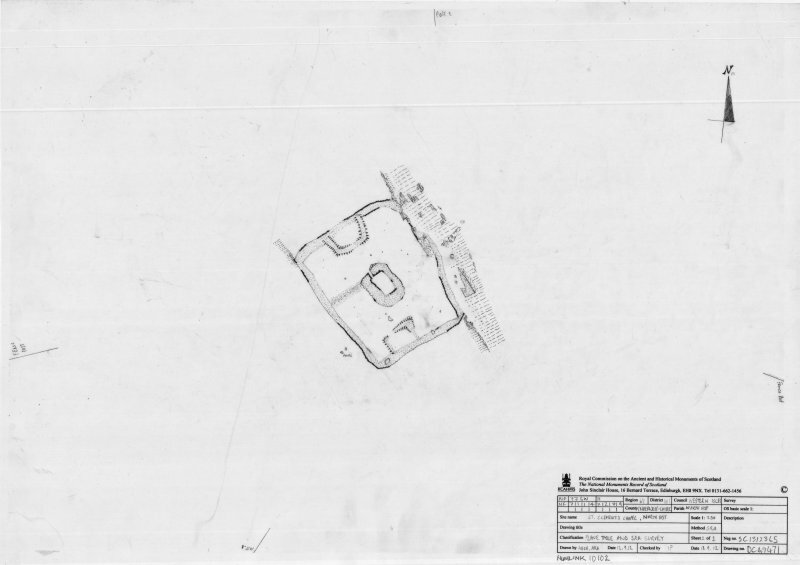 There is the vague outline of a rectangular structure, 3.0m by 5.0m, central against the NW wall of the burial ground and within the enclosure. The dedication of the chapel could not be confirmed but it is known locally as St Clement's. 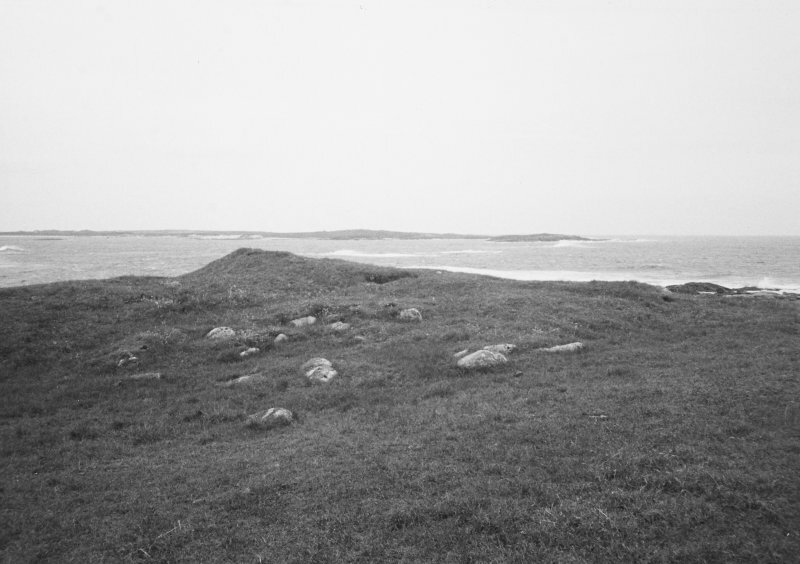 Visited by OS (J T T), 15 June 1965. 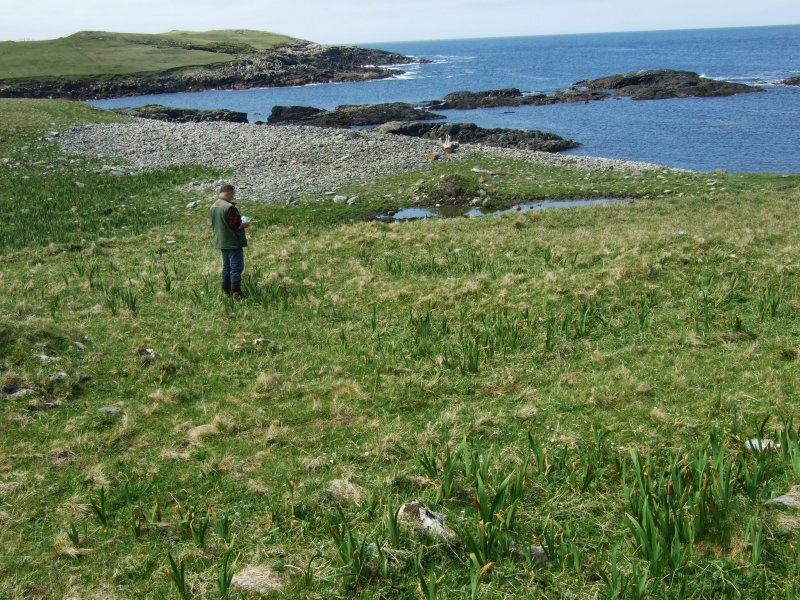 At the head of a small bay on the western coast of North Uist, about 400 yards south of Manish Point, and about ½ mile north-northwest of Tighary, within a small, disused kirkyard surrounded by the remains of a stone dyke, the foundations of St Clement's Chapel are still discernible. The building has been oblong, lying almost east and west, and measuring about 14 feet 6 inches in length and about 10 feet 9 inches in breadth internally. The door has been in the western gable. Within the building is a quarter portion of a hollowed stone, possibly an old font. The deep cavity is more conical and narrow at the bottom than that of the usual knocking stone; it tapers downward s from 7 inches at top to 2 inches. On Blaeu's map (1654) this church is Kilchalma and in Orig. Paroch. 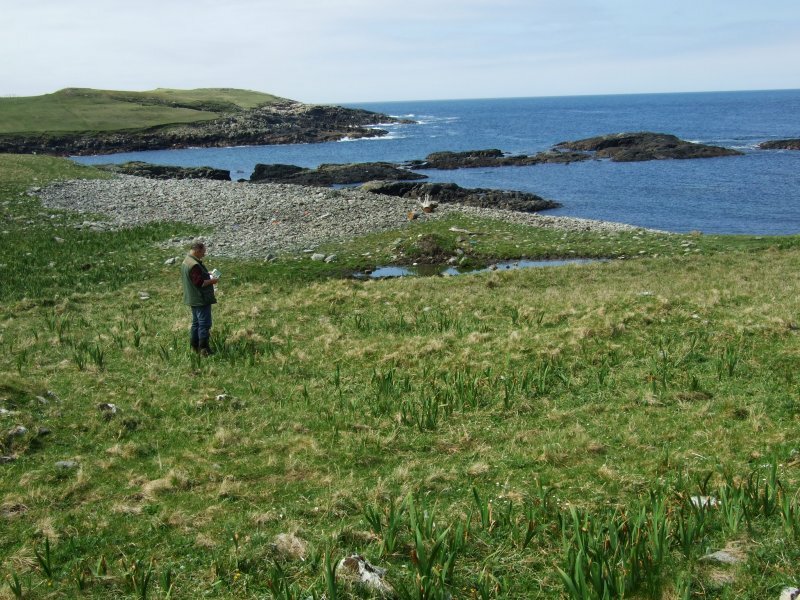 Kilchalman . These forms suggest a dedication to Colman , who has been confused with Clement. Visited by RCAHMS 16 August 1915. 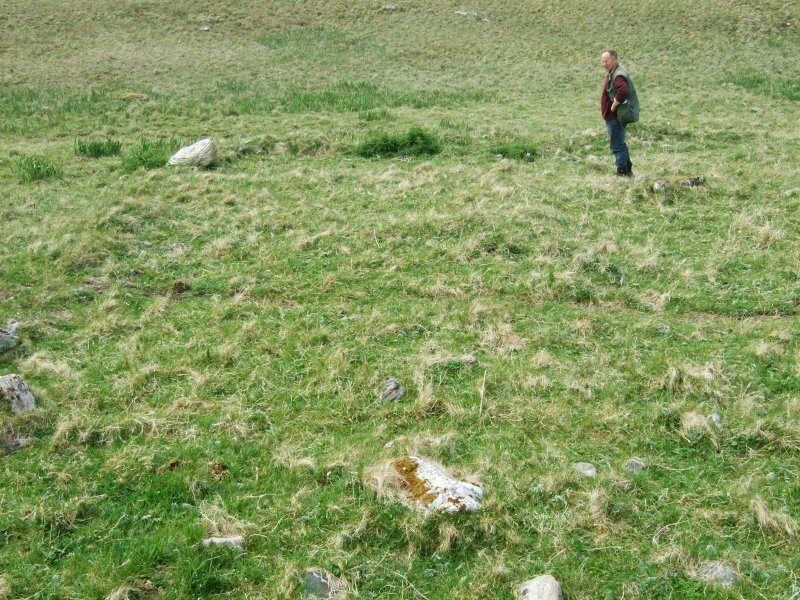 This site is largely as described by previous authorities, but the grass-grown rubble walls of the chapel stand up to 0.7m high. 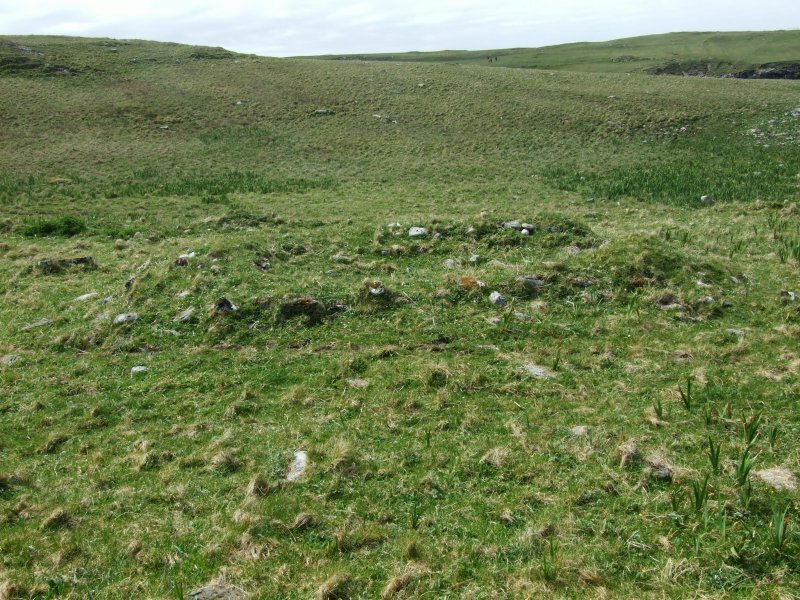 The poorly defined building abutting the inside face of the NW side of the enclosure measures 7.5m from NE to SW by 5m transversely over grass-grown rubble-walls standing up to 0.3m high. It appears to have had a central entrance leading out to the NW. 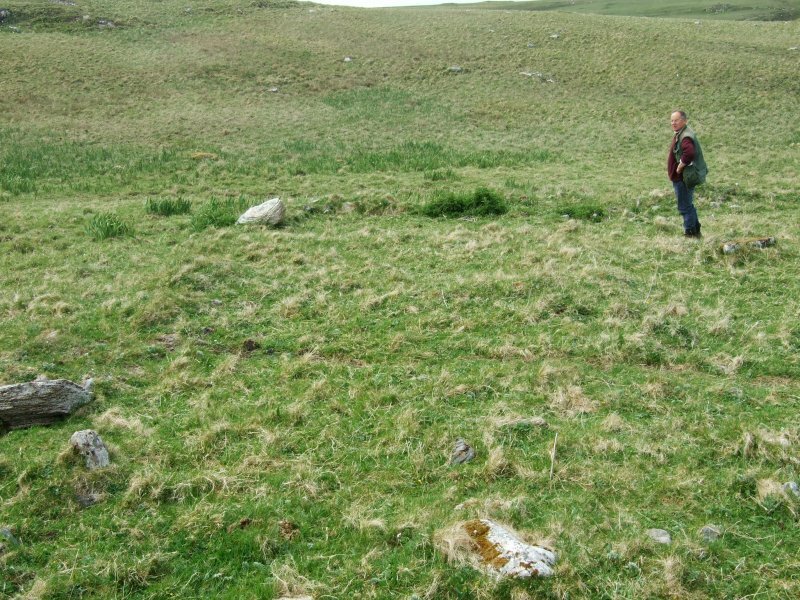 There are also faint traces of a third building within the enclosure, situated adjacent to the SE wall. In addition, a low bank runs SW from the W corner of the chapel to abut against the enclosure wall. 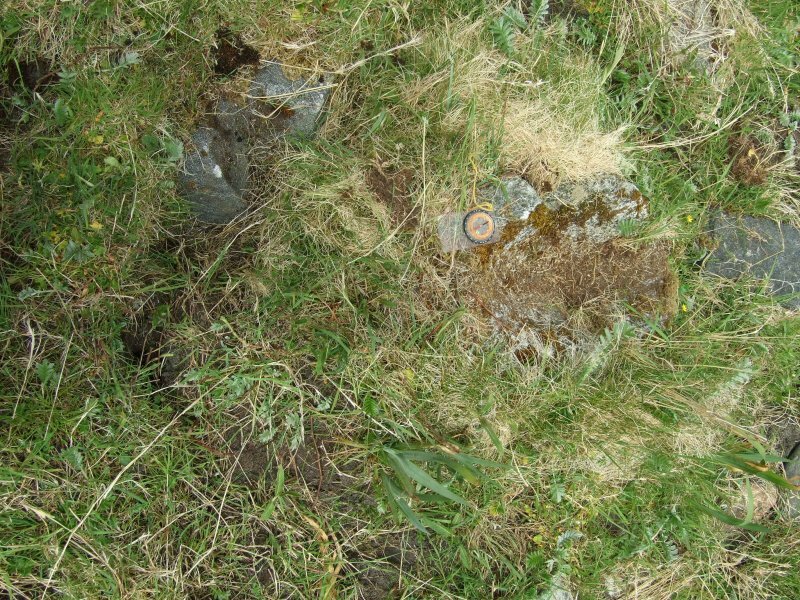 Half buried in the grass midway along the SW wall of the enclosure and offset 2m to its SW is a stone with a pronounced hollow, which may be the fragment of the font earlier identified by RCAHMS. Visited by RCAHMS (JRS, ATW) 29 May 2012.